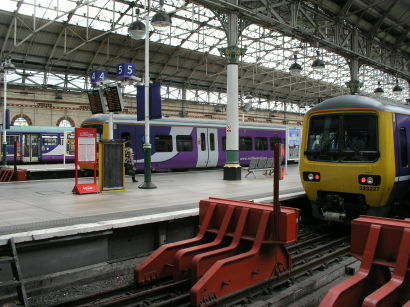 NORTHERN has invited the RMT to take part in fresh talks at ACAS in a bid to end the long-running dispute about on-train staffing. Three more 24-hour strikes have been called and the first of these walkouts is planned over the Bank Holiday weekend, on Saturday 25 August. Two more are set to follow in early September. Arriva Rail North managing director David Brown said: “Over the last few weeks, further positive talks have taken place to find a resolution to RMT’s ongoing dispute. Having invited RMT to continue these talks this week, it is very disappointing the union has announced further strikes on 25 August, 1 and 8 September. He added: “As part of modernisation, we want to work with our train crews to agree how we can operate more flexibly and deliver services that better meet the changing needs of our customers. This is why we have been holding talks with RMT in the hope of ultimately delivering for our customers through new, modern working arrangements. The RMT has yet to comment.